Triveni Ethnics is known for its beautiful designs, gorgeous patterns, great material and perfect finish. 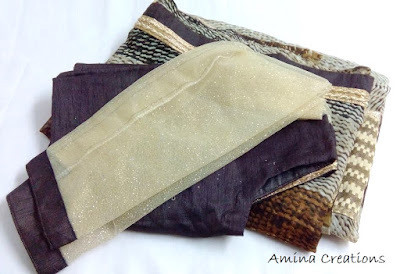 I have had the opportunity of reviewing a Triveni Saree from their earlier collection Fashion flow 2 in my blog (whose link you can find here) and in this post I am going to share my review of a Saree from their latest collection Kabali. This beige coloured faux georgette Saree has prints in brown and grey. Brocaded lace and fine net adorn the border of the Saree giving it a nice, elegant and grand look. 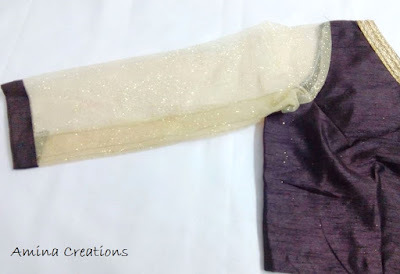 The brown coloured blouse is made of art silk material and has transparent net material with glitter for its sleeves. The sleeves are of 3/4th length and golden thread and zari lace has been stitched along the V-neck. 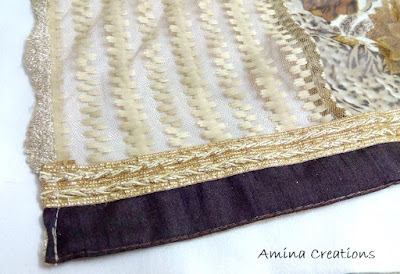 The ornamental net and lace along the border is beautiful and adds a great look to the Saree. The material of the Saree is soft faux Georgette that is comfortable to wear. 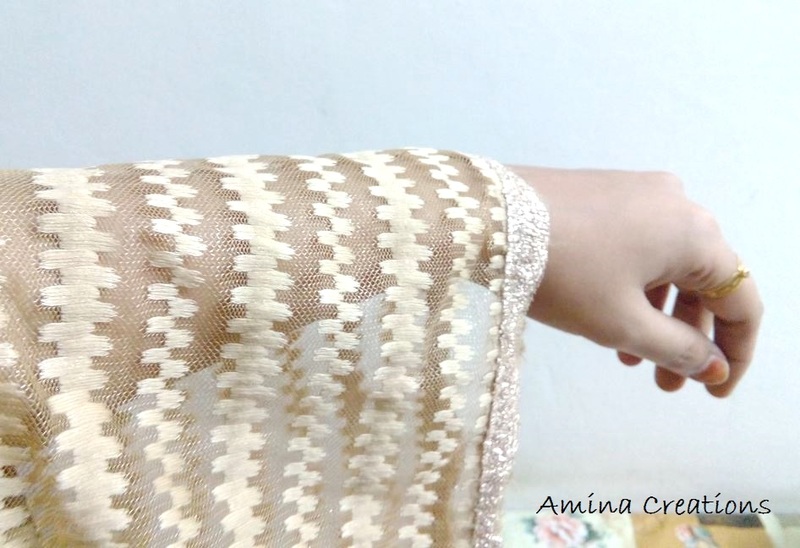 It looks great and can be worn during festivals and traditional functions. 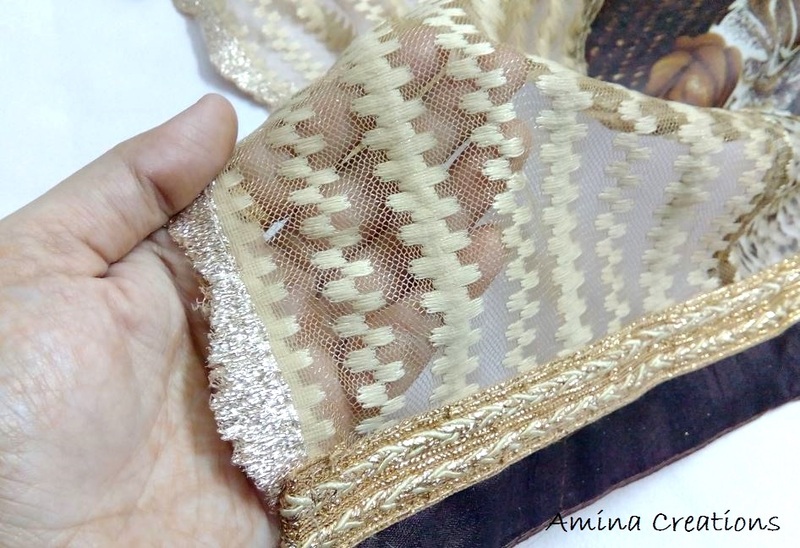 I especially like their service as I got the Saree delivered with a blouse stitched to my size in just about 10 days. The stitching is also perfect. 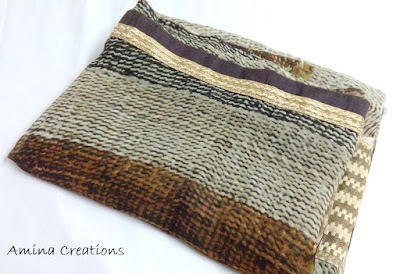 What more we can buy this Saree from Triveni Ethnics at a discounted price of Rs. 1410. In total I am really happy with the Saree and would surely recommend Triveni sarees to others as well. 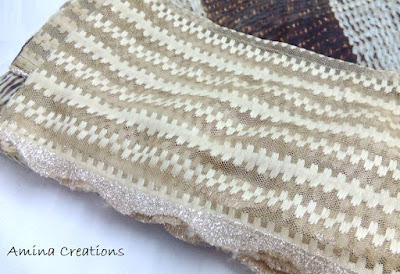 I am planning to pair this Saree with a simple gold necklace, bangles and matching ear rings.